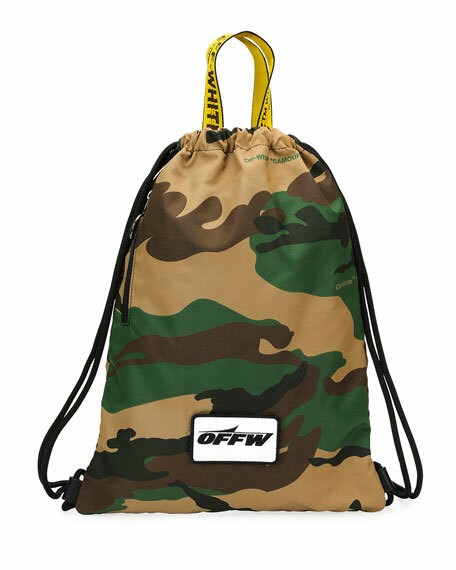 Off-White rucksack-style backpack in camouflage-print nylon. 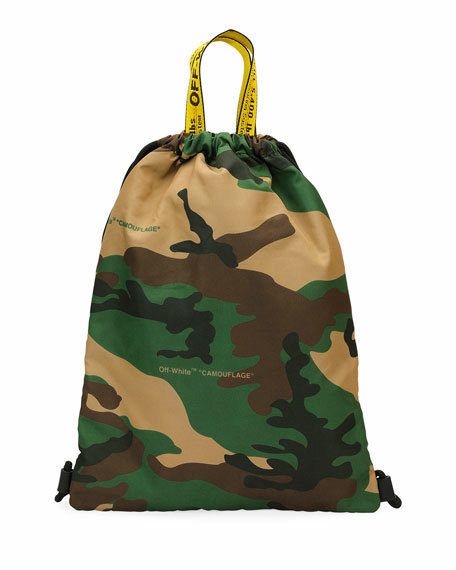 Drawstring shoulder straps gather body of bag. Logo appliqué at center front. 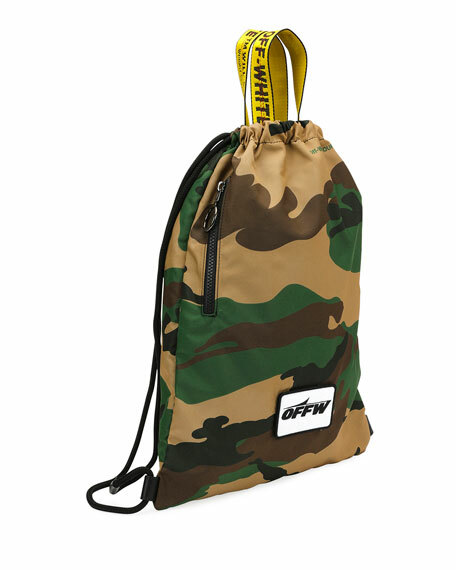 For in-store inquiries, use sku #2646706.